Education / working experience: 1969-1978 Royal Swedish Ballet school, 1978 Engaged by the Royal Swedish Ballet 1981 Soloist, 1984 Principal dancer, 1995 Royal Court Dancer. Major roles: Julia in Romeo & Julia (Kenneth MacMillan), Manon in Manon (Kenneth MacMillan), Aurora in Sleeping Beauty (Beryl Grey), Kitri in Don Quijote (Rudolf Nureyev), Lise in La fille mal gardee (Frederick Ashton), Kathrine & Bianca in Taming of the shrew (John Cranko), Giselle in Giselle (Erik Bruhn), The teacher & Marie in Nutcracker (Heinz Spoerli), Teresina in Napoli (August Bournonville), Julie in Miss Julie (Birgit Cullberg) Helena in A Midsummernightsdream (John Neumeier), Olga in Onegin (John Cranko), Maria in The Toreadore (Flemming Flindt), Gamzatti in La Bayadere (Natalia Makarova), Anitra/Ingrid/Lady in Green in Peer Gynt (John Neumeier), Ebba Dohna in The tale of Gosta Berling (Ulf Gadd), etc. Solo roles: in ballets by George Balanchine, Birgit Cullberg, Ulf Gadd, Jifi Kylian, Jerome Robbins, Maurice Bejart etc. Other engagements: Work abroad — 1985/86 Soloist in Dallas Ballet; TV-Productions: Leading roles in Stoolgame, House of fools and Abbalett in productions made for the Swedish Television. Guest appearances: Hamburg, Belfast, Oslo, USA, Cuba, China, Japan, Spain, Israel, etc. Awards: 1995 Drottningholm Theatre's medal, 1995 Royal Court Dancer; 1998 The Carina Ari Medal, 1999 The Royal medal Litteris et Artibus Repetiteur: 1998-99, 1999-2000, the autumn of- 2000. Swans in Swan Lake (Natali Conus), Sylphides in La Sylphide (Frank Andersen) Board of directors and union experience: 1995-1998 Accountant, member & vice artistic chairman for the local ballet union; 1994-2001 Elected by the government as a member of the board of Konstnarsnamnden; 1994-2001 Member of Konstnarsnamndens scenic group, allotting government grants and awards to individual artists within the field of dance. 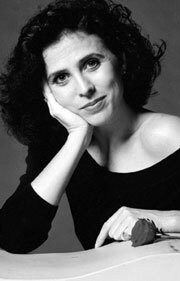 1998 — Personnel representative on the board of directors for the Royal Swedish Opera. Studies etc: 2001 — Market Communication, Project Management at Bergh's School of Сommunication; 2001 — practiced as Event Coordinator in Sweden's largest event bureau, Eventum Management experience: 1996-2002 — founder and manager of Stockholm 59ˇ North — Soloists of the Royal Swedish Ballet. Ordering choreographies, choosing repertoire, casting, finance and sponsoring, negotiating music and choreography copyrights, acquiring engagements, organizing tours, marketing and media contacts. 2002 — Artistic director for The Royal Swedish Ballet.